New Titles for Book Clubs in a Bag! 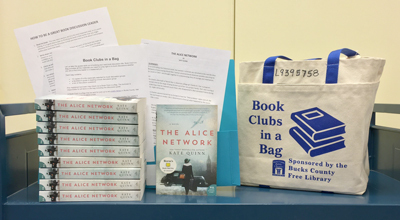 Let us help you take the guesswork out of picking your next book discussion title with Book Clubs in a Bag. Updated with new titles, the bags provide all the materials you need to jump right in to book discussions, whether you are a first time leader or a seasoned pro. A bag may be borrowed for four weeks and may be renewed for another four weeks if no one else has placed a hold on it.